StoneSense is a renovation company and we fabricate natural stone countertops and Vanity tops. We also sell Granite Tiles, Porcelain tiles, Backsplash and Hardwood flooring! Selecting quality natural stone countertops is everything. This is why Ottawa residents shop at StoneSense. StoneSense selects, cuts and installs each and every stone, masterfully handling it no less than three times. Our master stone cutters select the granite, marble or quartz and see it all the way through to final installation – a rarity for stone veneer and is what makes our product unique and installation the best in the industry. StoneSense offers one of the largest natural stone and glass collections for inspired design choices from tile stores in Ottawa. Whether you are designing your kitchen backsplash, flooring or even an accent wall, choose from beautiful mosaic tiles, geometrics and standard tile sizes to create the exact look you desire for your home. Your tile experts of StoneSense can help you choose the product that will best meet your durability and aesthetic requirements within your specified budget. Logs End - Sustainable Wide Plank Flooring & Wood Products specializes in manufacturing custom solid & engineered flooring and trim. Logs End utilizes reclaimed wood salvaged from rivers and lakes in Ontario & Quebec along with FSC lumber to make gorgeous custom floors for residential and commercial projects. The Logs End team offers services from initial design to installation and finishing. Nearly 20 years in business, Logs End has put its focus on quality manufactured wood with exceptional service. The Hardwood Floor Advantage These days more Ottawa area home owners are choosing hardwood flooring. It adds warmth, a healthy and welcoming ambiance and enhances any decorating style. Whether purchasing a new home or renovating your current home, hardwood floors are a wise investment as they definitely increase the re-sale value of your home. Advantage hardwood flooring is an economical alternative – we offer quality products and excellent service at a reasonable price. This makes Advantage hardwood floors the right choice for any budget. Advantage hardwood floors are engineered and designed to have a high resistance against dampness, wear and tear, temperature changes and substantial amounts of stress . This means Advantage hardwood floors are durable and with proper care, will give you a lifetime of beauty and function. Choose from a great variety of wood types, colour tones, surface and finishing options. We can even help create your own custom look. Keeping your hardwood floors looking beautiful is easy with proper care and cleaning. (Link to cleaning instructions) Hardwood is the flooring of choice for practically every room in your home. Choosing a beautiful Advantage hardwood floor is a purchase that you will not regret. Contact Advantage Flooring today for a complimentary quote and consultation. DM Flooring Pro Inc has been serving the flooring needs of families and businesses in the Ottawa areas and beyond. We come to you with samples you may choose from. If you already know what you would like we can get that for you too. If you already have the flooring, we are ready to assist you by providing installation. 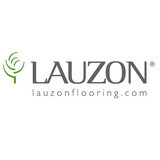 CANADIAN HARDWOOD FLOORING MANUFACTURER Since 1985 Lauzon Flooring has been devoted to marrying the artistry of finely crafted wood with the science of making beautifully resilient and comfortable natural hardwood floors. Our collections come in an impeccable array of woods, tones, colors and constructions such as engineered hardwood flooring and solid hardwood flooring. We work in harmony with the environment. Through our fully integrated operation, we have built a business that is at the forefront of sustainable forest management and stewardship and enjoys FSC® - certification. No wonder homeowners, architects, designers and builders have turned to us for the finest hardwood floors that retain their beauty. Not only do our floors not emit toxins, with Pure Genius smart floors they can help purify the air. 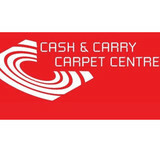 S&R Flooring is committed to offering high quality products and installation services at competitive prices. 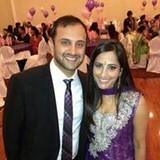 We specialize in serving both residential & commercial clients and offer a free in home shopping experience. As a member of ICC we are proud to service Ottawa's insurance industry. MiCel Flooring is a family owned and operated business that offers a wide range of flooring services in Ottawa. Nino Marte Flooring is a family owned and operated business. We have been installing and refinishing hardwood floors for over 30 years. DUROwood Flooring delivers high quality workmanship in a professional and friendly manner to both residential and commercial customers in Ottawa. We work with hardwood from many angles: we install, refinish, sand, stain and repair hardwood floors. In addition, we recap staircases and install railings. We work with wood moulding and interior trim work as well. Do you have a custom flooring or staircase project in mind? We offer professional advice and provide recommendations for any hardwood project, no matter what your needs are. Since 1994 Ashbury Flooring has been providing a wide variety of floor covering products and installation services to many of the biggest, most prestigious residential, commercial and institutional builders and contractors in the Ottawa region. Installation services are performed by skilled, licensed flooring professionals with decades of experience in their respective trades. Ashbury's sales and production staff is trained to offer personalized interior design assistance. Ashbury's business philosophy can be summed up as follows: "We value our customer's trust and will provide the highest level of service, respect, and product knowledge for our customers to select the right product at the right price.” "We’re dedicated 100% to customer service.” "The only way to get complete customer satisfaction is to have highly trained and professional: sales people, installers, operations staff, and warehouse people." 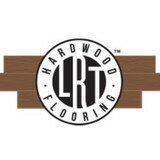 LRT Hardwood Flooring, located in Ottawa, is a Canadian owned and operated company. Founded in 2009 by Luc Theoret, the company started up with Luc and one employee. LRT Hardwood Flooring quickly earned a reputation for delivering quality installations and stunning craftsmanship. With the demand for specialized services and hardwood refinishing, the LRT Hardwood Flooring team has grown to 7 in-house and highly trained employees, who comprise 4 crews. Ottawa Diamond Flooring was established in 1995 by Gary Tremblay, a consummate professional with more than 30 years experience in all styles flooring products and installations. Ottawa Diamond offers a wide range of quality-brand Ottawa flooring products that include hardwood, laminate, vinyl, marble, ceramic tile, and a wide selection of wall-to-wall carpeting. Ottawa Diamond also specializes in granite and quartz countertops for the kitchen or bathroom, beautiful kitchen cabinets, staircases, railings, and a hardwood floor refinishing service that will inject new life into your higher traffic floors. Our beautiful showroom features impeccable displays showcasing the many flooring products that have made Ottawa Diamond Flooring the undisputed leader in quality Ottawa flooring solutions. We offer a free in-home estimation service and the work performed by our installation team is guaranteed second to none. Trust Ottawa Diamond Flooring to get the job done right and on time. Call 613-274-3535 today or visit our beautiful showroom in Nepean and discover why Ottawa Diamond is the #1 name in Ottawa flooring and Ottawa carpeting. What kinds of services do hardwood flooring installation professionals in Ottawa, ON provide? Find hardwood floor experts in Ottawa, ON on Houzz. Search the Professionals section for Ottawa, ON hardwood flooring installers and dealers or browse Ottawa, ON photos of completed installations and look for the professional’s contact information.